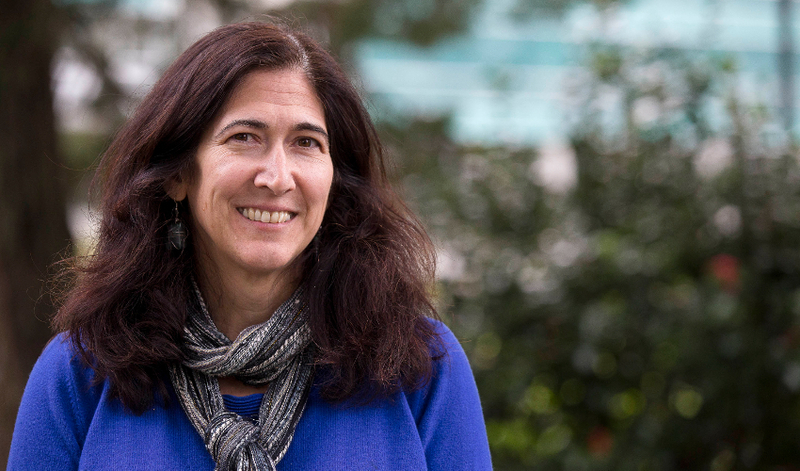 Carmen Domingo has been appointed dean of San Francisco State University’s College of Science & Engineering (CoSE), the University announced today. The first woman to be appointed to the position, Domingo has been interim dean since August 2017 and a faculty member in the Department of Biology since 1997. As a Latina scientist, Domingo is part of a select group nationwide: Only 3 percent of U.S. higher education administrators are Hispanic/Latino, according to a 2017 report by the College and University Professional Association for Human Resources. Domingo’s research focuses on how tissues form during embryo development. Over the past 20 years she has mentored more than 75 students in her lab while also leading numerous initiatives to improve student success in the sciences. A particular focus of Domingo’s has been to build innovative grant-funded training programs to give students the opportunity to conduct scientific research and develop their professional skills. Collectively, these programs have brought over $35 million to campus. Domingo will oversee more than 160 faculty members and serve a student body of more than 7,000 in which 48 percent are women and 71 percent are ethnic minorities, making it uniquely diverse in the sciences. With the University’s focus on equity and CoSE’s research strengths in a variety of subject areas, Domingo believes the college is poised to contribute to scientific solutions to some of the world’s most pressing challenges. “There’s a lot we can do by bringing together our social justice mission with our training in science and technology to uniquely prepare our students to address the health and well-being of all people and our planet,” she said. Domingo obtained her bachelor’s degree in biological sciences from the University of California, Irvine and earned her Ph.D. in molecular and cell biology from the University of California, Berkeley.